Every car must have a single-lap mode at least. Most simpel form would be minimal energy harvesting, starting with a full battery and crossing the finish with a depleted one. And no fuel saving. They also use it for the start and 1st lap. Then you may be a little confused. He didn't say that they didn't have a mode used for qualifying. He simply stated that this mode wasn't "magic" like what other teams have. Every PU has a multitude of different ECU modes that can be selected to save fuel, maximise power over the whole race with minimum fuel saving (assuming race strategy goes to plan), an overtaking mode, qualifying and everything in between. Every team has always had a qualifying mode. Just Mercedes and Ferrari's own is miles better than Honda and Renaults own. Also that was for 2017....not 2018. Yes. Agreed. And don't forget that ALL teams were running their engines conservatively to get a feel of the reliability. We don't really know the true gaps between the engines yet. We might know in Canada. @ trinidefender, I am not confused. Horner asked Renault very often last year if they could also get a qualifying mode. 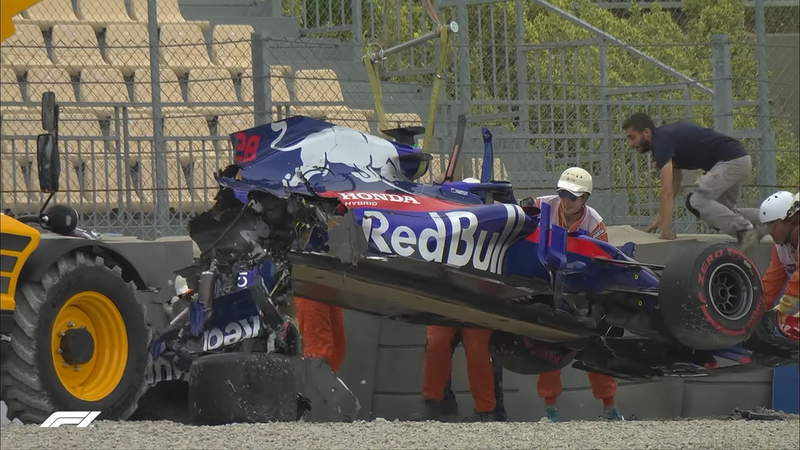 Renault did not want that, because the engine was not reliable. At the end of the season, Taffin promised Horner to deliver a Q mode for the 2018 season and a more reliable engine. RBR is racing this season for the first time with a Q mode. According to Horner is this mode not "magic" like what other teams have, it only delivers 0.1 sec. I also heard Abiteboul in front of the camera on TV during the second or third race weekend this year saying that the Q mode of Honda delivers more power than their own Q mode, but that they are working hard to get more power during the Q. It is perhaps the question that all Max Verstappen fans have wondered about last winter. Does Red Bull finally have a qualifying mode available this year? If we can believe Max, not. The Dutchman spoke to Olav Mol this morning after the second free practice and he informed that Renault has not found anything yet. Last edited by Wouter on Wed May 09, 2018 8:29 pm, edited 1 time in total. 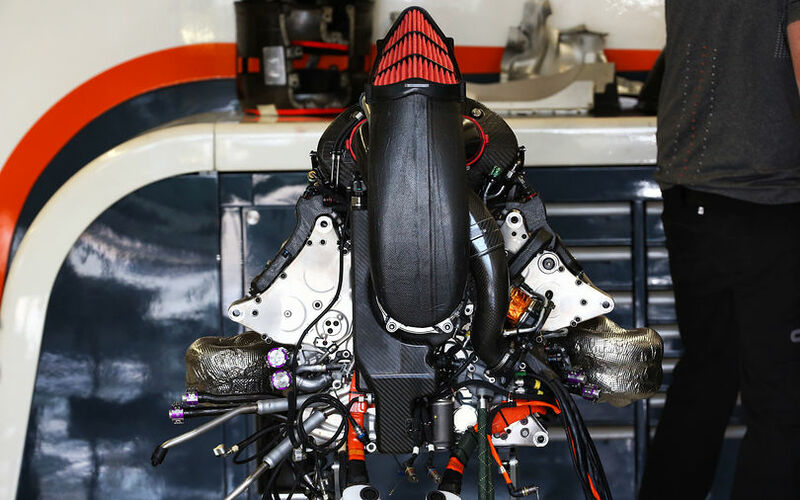 that the Q mode of Honda delivers more power than their own Q mode, but that they are working hard to get more power during the Q. Presumably what he means though is the increase between modes is more on the Honda, not that the Honda produces more power? Hopefully one of the so called journos will do their job and ask that question today in the press conference. Someone did ask the question to Hartley who avoided it. I do think they all will avoid the answer. So we now know that Ferrari in quali has more power than Mercedes by inhaling more oil but in race us behind. Honda as usual will not state their position but isnt too far behind. So. Will Hartley have an identical new engine tomorrow, or will it be an updated variant? I expect Honda didn't finalize whatever they're planning for Canada, but will he get a more powerful engine? Were there any reports? How much of the combustion depends on ROS(reactive oxygen species)? Most of the fuel is hydro carbons, and air is typically inert, so heat and spark are used to create ROS in order to break the bonds in the fuel correct? Which means ultimately like in so many other reactive processes it starts with superoxide free radicals at the spark gap?